Indivisible Stanislaus is proud to host a series of Flip the District canvasses in Ceres, CA- the third of which is on October 13th. We will be canvassing in support for the Democratic candidate for CA-10, Josh Harder. 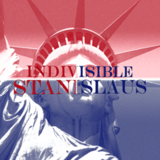 A chapter of the Indivisible Project, Indivisible Stanislaus is one of the many progressive, grassroots organizations that formed in CA-10 after the election of Donald Trump. Materials and training will be provided for anyone who attends.